If you’ve seen a centipede, you probably shuddered with fear. While they might not be as adorable as Corgis or bunnies, they actually are pretty productive members of the animal kingdom. It can be tempting to see a centipede and resort to a version of pest control that resembles some form of bludgeoning. But before you reach for the nearest shoe or newspaper, read about some centipede facts, and call Colorado Pest Management for any of your pest control needs. Serving the Front Range region for almost 30 years, we are happy to provide your home with Integrated Pest Management and more! They are their own form of pest management. Centipedes eat a number of insects and pests that are commonly found in households. Moths, small spiders, flies, crickets, and more are no match to the centipede. They help eradicate some of those pesky critters that we don’t like to see around our homes. They’re actually kind of sweet. Certain species of centipedes are very maternal by nature; who knew? Female soil centipedes, along with some types of tropical centipedes, lay egg masses underground. As Thought Co. states, “The mother wraps her body around the eggs, and remains with them until they hatch, protecting them from harm.” How sweet! Their legs have a life of their own. Centipedes are actually able to regenerate their legs. If something happens to some of their legs, they can simply grow them back. It’s not uncommon to see a centipede with some legs shorter than others, indicating they’ve seen some things in their younger years. There are a ton of centipedes. From a species standpoint, there are an estimated 8,000 different varieties of centipedes. They differ from millipedes. A millipede has two pairs of legs on its body segments, but a centipede has just one pair legs per body segment. Just as a centipede does not necessarily have 100 legs, a millipede’s is also misleading. However, millipedes have the potential to have many more legs—the most found on one millipede currently is 750 legs! They like dark and damp places. It’s not uncommon to find centipedes in sinks or drains, as well as near stacks of wood, bark, leaves, or other covered, outdoor spaces. They can live for a few years. Most centipedes can live up to three years, and some can even live past five years! Unlike other insects, centipedes continue to molt and grow, even into adulthood. 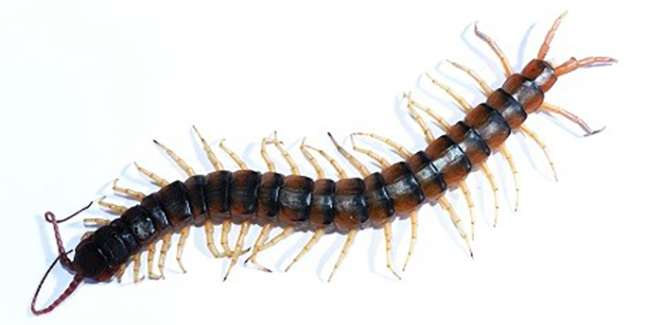 Given all the facts about centipedes, seeing one around your home will hopefully be a little less terrorizing now. 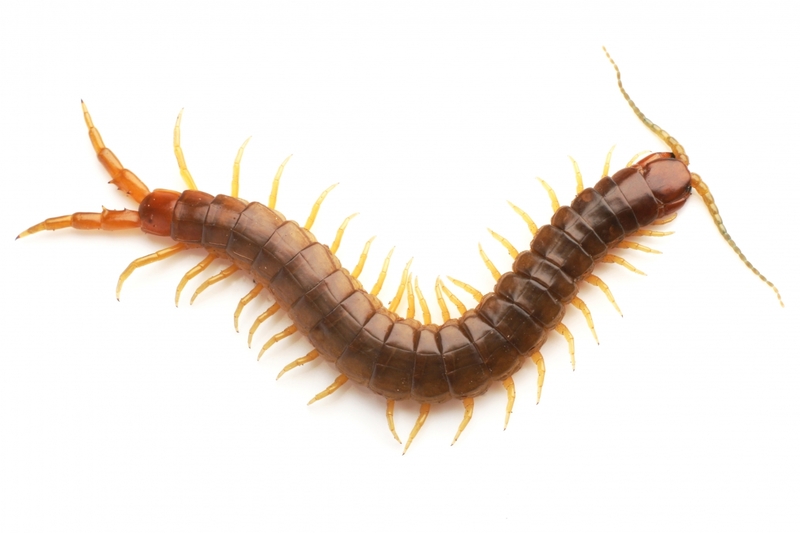 However, if you end up seeing multiple centipedes in a relatively short time span, it’s a good idea to call the experts at Colorado Pest Management. This is a pretty solid indication that there’s something else going on, such as another pest infestation that is keeping the centipedes around. For pest control services in the Denver and Colorado Springs area, call Colorado Pest Management today!